SI Bidwell Rancho is ready to start another Dream it, Be it Project! This time we are teaming up with SI Chico!! We are very exited about this. Between both clubs we will put our resources together and create a wonderful experience for Girls! 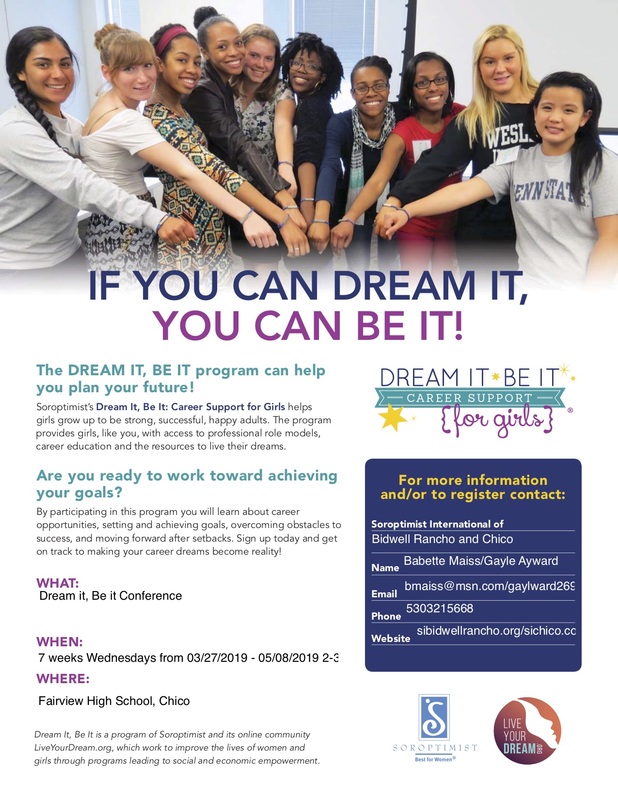 Invitation to Dream it, Be it 2018!